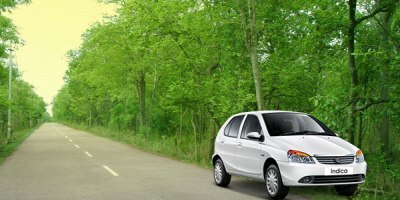 An important part of Srisailam tourism is Srisailam Dam. 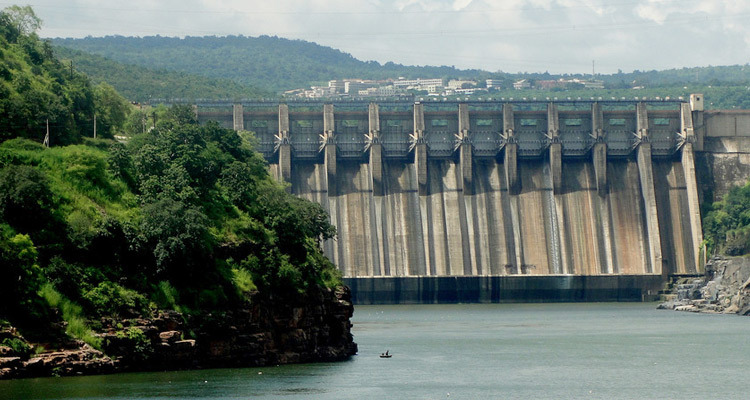 Built over the Krishna River, this dam is located around 13 km away from the Srisailam town. 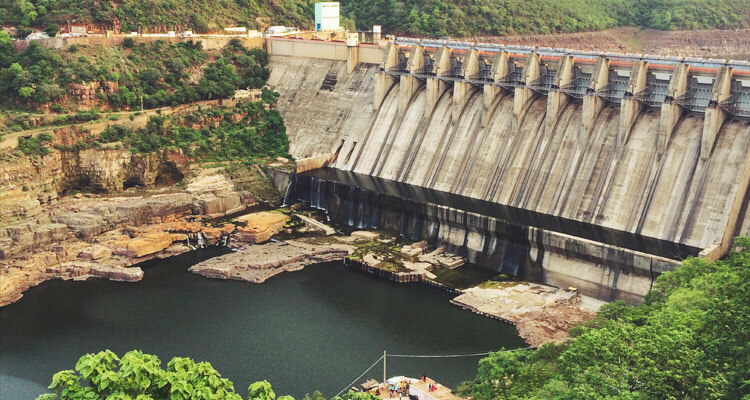 Located in the Nallamala Hills, Srisailam Dam boasts of being the second largest hydroelectric project in the country. 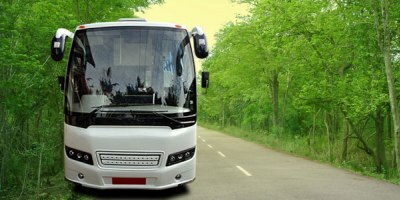 What makes it worth visiting is its impressive structure which combined with surrounding scenic beauty, creates a mesmerizing sight. Located amid the captivating landscape of Nallamala Hills, Srisailam Dam is an ideal place to visit for nature enthusiasts. The view of the Krishna River with its vast spread of calming waters is enchanting. Another breath-taking sight is when the crest gates are opened. Massive stream of water, powerfully gushing out of the crest gates will leave you spellbound. A visit to the dam gives you the opportunity to spend time amid peaceful and refreshing surroundings; it presents a refreshing break from the noises and pollution of the cities. 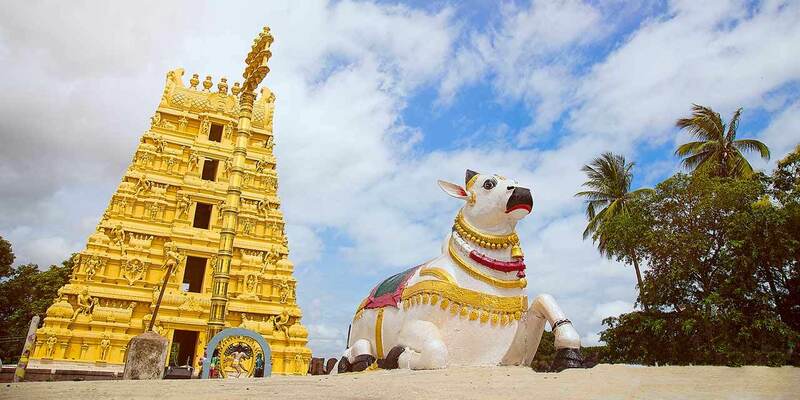 Some of the places that you can visit after exploring Srisailam Dam are Nagarjuna Viswa Vidyalayam, Dattatreya Bhilam, Akka Mahadevi Bhilam Uma Maheswaram, etc. Srisailam Dam stands at a height of 300 meter above sea level. It has a height of around 145 meters and length of 512 meters. 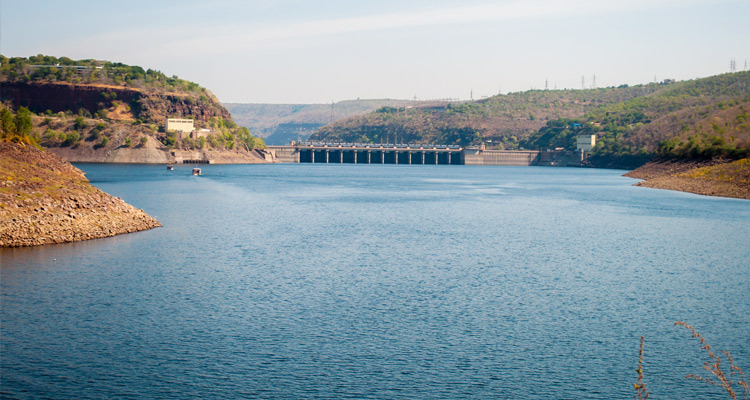 There are 12 radial crest gates in Srisailam Dam. It can hold around 178.74 Tmcft and up to water level of 885 feet. There are six reversible 150 MW Francis pump turbine on the left side of the river bank while on the right side there are seven 110 MW Francis turbine generators. The construction of Srisailam Dam was started in the year of 1960 as a power project. The construction of dam was completed in the year 1981. 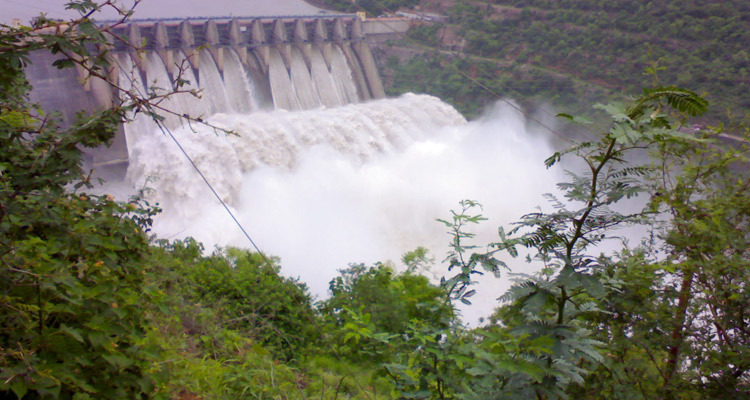 While constructing Srisailam Dam, around 102 villages were flooded. In the year 1987, the second phase of the construction was completed and the dam was converted into a multi-purpose project with a capacity to generate additional 770MW of power. 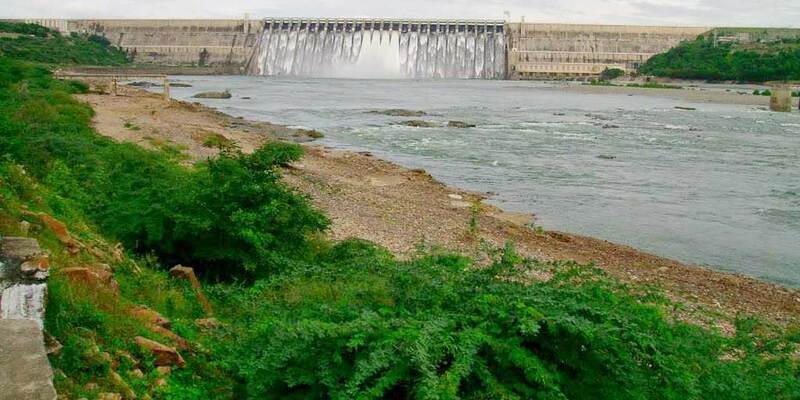 However, in 2009, due to the excessive water flow of Krishna River, Srisailam Dam also received overflow of water which couldn’t be used for generating power as it flew down in the direction of Nagarjunasagar Dam. 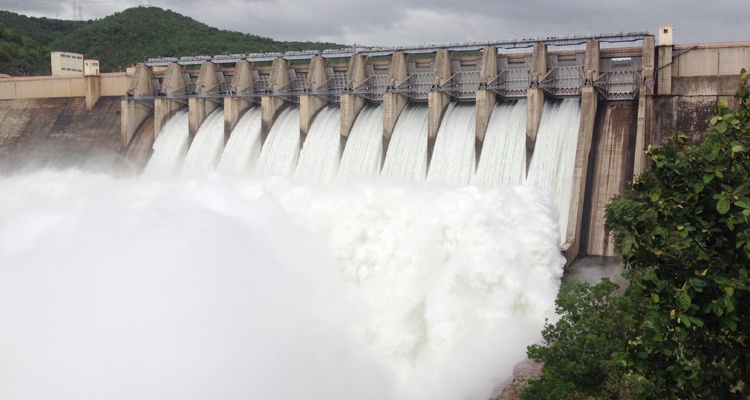 Srisailam Dam now provides water to an approximate area of 2000 sq.km. 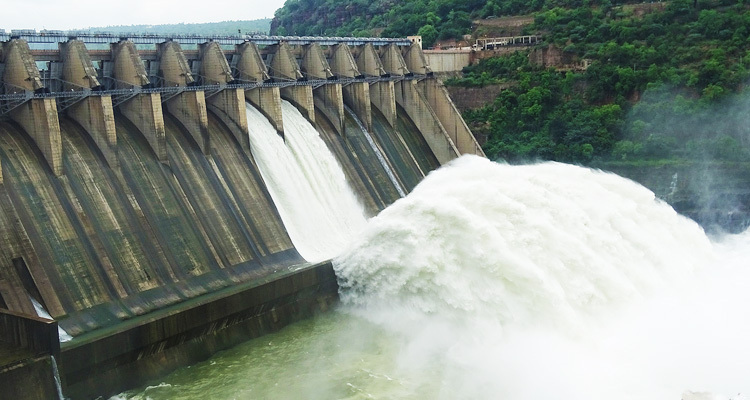 The best time to visit Srisailam Dam is from the month of November to March. The dam is open throughout the day and night. 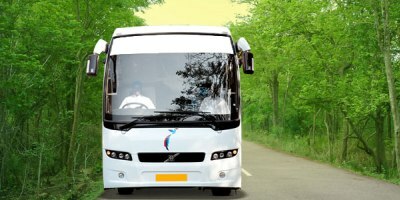 However, the route to the Dam via Hyderabad to Srisailam road is closed from 9 PM to 6 AM; hence tourists are required to plan their trip accordingly. 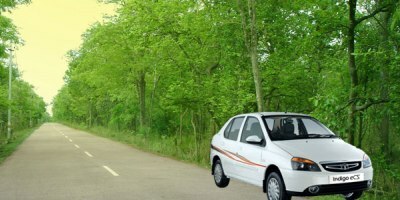 Srisailam Dam is around 14 km away from Srisailam Bus Stand. 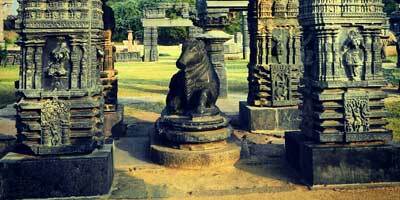 It is located in the Nallamala Hills that lies between Mahabubnagar and Kurnool districts. 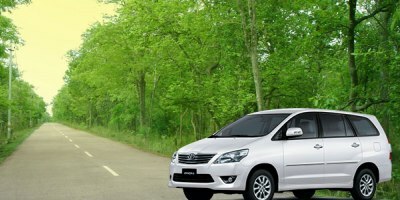 Tourists can hire a private taxi from Srisailam or Hyderabad to the Dam. 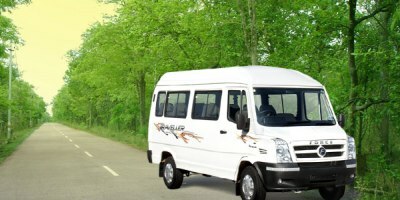 There are also many regular buses operating between the Srisailam Dam and nearby towns.